Anyone up for some comfort food (with a healthy twist)? When I saw this recipe in March, I knew I had to try it immediately. I have made it several times (once, when my mother-in-law came for dinner) and I cannot say enough good about it. Spinach. Bacon. Mushrooms. Blue Cheese. I have found those to be ingredients people either love or hate, but I happen to love them all. Put them together with some penne, greek yogurt, panko, and garlic? Let me tell you...This dish is amazing. Preheat oven to 400 degrees. Coat 2-quart baking dish with 1 tsp oil and set aside. Bring a large pot of water to a boil; add salt and pasta. Cook for 6 minutes or until just barely tender. Drain pasta but reserve one cup of the cooking liquid. While the water is coming to a boil, cook bacon in a large skillet over medium heat until crisp. Remove bacon from pan, and crumble. Add mushrooms to drippings (appx 2 Tbs) in pan. Cook for 8 minutes or until browned, stirring occasionally. Add pepper, garlic, and spinach (in batches) to the mushrooms; cook 3 minutes or until spinach wilts, tossing occasionally. Combine yogurt and cheese in a large bowl, stirring until almost smooth. Add pasta and mushroom mixture toss to combine. Stir in 1/2 cup reserved cooking liquid (or more if mixture looks dry). Spoon pasta mixture into prepared dish. Combine crumbled bacon, panko, and parsley. Drizzle with remaining 3 teaspoons of oil; toss to combine. Sprinkle evenly over top of pasta. Bake at 400 degrees for 20 minutes or until golden and bubbly. As the granddaughter of a baker, I love cookie season! I enjoy trying new recipes and filling the house with many, many dozens of treats to deliver to friends and family. This recipe came from my first ever cookie exchange when (gulp) I actually bought cookies from my grandfather's bakery instead of making my own. If you are intimidated by cookies like I was, try organizing a community or work cookie exchange; it is a great way to score some good recipes! Mix shortening, sugar, and eggs until creamy. Stir in orange rind and orange juice. Mix the butter until creamy. Slowly add confectioners sugar and orange juice. Note: I recommend investing in a grater; mine is handheld with a container to collect the rind. 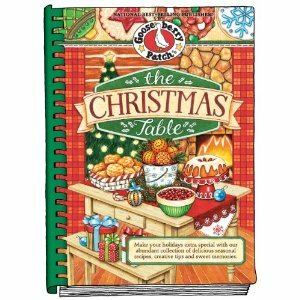 I have made a few recipes similar to this one over the years for my cookie tray and to mix in with others as gifts. It is a perfect addition, with the festive candy cane sprinkles on the top. The nice thing about this recipe is if you don't care for the candy cane topping, you can substitute whatever you would like - half of a caramel, walnut or pecan pieces (or halves), a drizzle of melted chocolate...you name it, and it will probably work. I love the chewy, almost brownie-like texture...delicious! Shape dough into 1 inch balls; place 2 inches apart on greased baking sheets. Bake 8 minutes or just until set (do not overbake). Once removed from the oven, immediately sprinkle candy cane bits onto the top and press into the cookie slightly. Transfer to wire racks and cool completely. Makes about 5 dozen cookies. Beat shortening and peanut butter in a large bowl until blended. Add 1/3 cup sugar and 1/3 cup brown sugar; beat until fluffy. Shape dough into 1 inch balls. Roll in granulated sugar; place on ungreased cookie sheet. Immediately press a chocolate piece into center of each cookie. Cookie will crack around edges. Cool on wire rack. Makes 4 dozen cookies. The Christmas season is full of activities for my family-trips to outdoor ice skating rinks, cookie parties, gingerbread house making, parties. This weekend we were stuck at home; everyone had the flu. I used some of my extra downtime working on a menu. 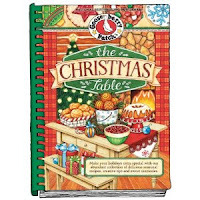 I am hoping doing some meal planning will keep me out of the crowded grocery stores while letting me spend the rest of this special time with my kids. I bought spinach on sale earlier this week, and we have some frozen sausage. This recipe is one of my husband's favorites. John asked that I would add this dish to the rotation, and Andrew, my 16 month old son, loves it. I took advantage of all the sale prices on canned cranberries and stuffing. The coupon on the Country Crock side dishes will be useful to pick up the mashed potatoes. When I get home from work, John will be handing me 2 dance bags, two ready dancers, and a bag of dinner for us. We haven't had this dish in a few months. The kids don't like it so spicy, so I'll reserve some pasta for them. Lately, I've been having my husband stop at Aldi to pick up their take-and-bake pizza on his way home. I've been seeing lots of holiday coupons for crescent rolls lately, time to stock up. I'll use the rest of the chicken I defrosted for Thursday's dinner to make this. We'll be having dinner with my family so I will need to bring a dessert, the apple crescents. We are working on our Christmas cookies. I did have to break down and buy the snickers this year; we didn't have a lot of leftover Halloween candy, and I wasn't fast enough to collect the snickers bars and hide them. While I continue to search for and try new slow cooker recipes, I often find myself falling back on my old favorites. This is a delicious "oldie but goodie" that I have made for years. With a little prep the night before, it is a simple meal to throw together in the morning before work. Toss chicken with seasoning mix and flour in slow cooker. Stir in all remaining ingredients except the cheese; cover. Cook on LOW for 6-8 hours or (or HIGH 3-4 hours). Stir just before serving. Serve over rice or quinoa; top with shredded cheese. I loved stuffed peppers as I was growing up. Mostly, I liked the filling, but as I got older, I came to love the peppers just as much. My first attempt to make them came before I was married; when my future husband took the first bite and I heard a crunch, I knew something had gone terribly wrong. To date, that was the worst meal I have ever made and I still give him credit for attempting to eat it. Needless to say, I have been a bit gun-shy about making stuffed peppers since, though. I have had great success with Kelly's Southwestern Stuffed Peppers, but when I saw this one-skillet recipe, I knew I had to try it. As I hoped, it is delicious and easy, and has quickly become a family favorite. Brown meat in a large skillet until no longer pink; drain. Remove from pan and set aside. In the same skillet, add peppers and onions and saute for 2-3 minutes. Add the diced tomatoes, tomato sauce, seasonings, and water; bring to a boil. Reduce heat and simmer (uncovered) until veggies are done to desired tenderness, stirring occasionally. Stir in rice. Remove from heat, cover, and let stand for 5 minutes. Stir in beef. Return to heat for a couple of minutes until heated through. I am overwhelmed with the number of things I need to do in a day. Honestly, I would drop at 8 PM each night if I could. Meal planning is helping me to keep on top of grocery shopping, dinners, and lunches for work. Just like in school, there is a calmness because everything is ready to go; if I over plan, I am just all the more prepared for the next day. I am enjoying the fall weather with my kids-leaves, pumpkins, parades, costumes. After being outside most of the morning and early afternoon, potato soup will warm our chilly bodies. An added bonus is that this is a crock pot meal. This is hands down my favorite fall dessert recipe. I've been looking at the pumpkin pies in Costco for weeks now...it is time to start some holiday baking. Now, I must find a way to get the picture before the family dives in. I could hardly contain my excitement when Farmer Boy at the CSA handed me a giant cauliflower. This is one of the best, most unexpectedly good recipes I have ever found. I have some pork chops from a recent BOGO sale. They've been in the deep freeze for two or three weeks. I plan on pairing this with roasted squash. We will be eating in our car Wednesday since both girls have dance class. Both girls' new favorite is a mini bagel with ham, cheese, and lettuce. That is what I will pack. I will have to put sticky notes everywhere so I remember to bring the dinner into work to keep cold AND take it with me on the way to pick them up. I have some extra won-tons and ground meat in the freezer; plus, my husband picked up some queso dip at Aldi. I have almost everything I need to make this crowd pleaser. I don't worry too much about slicing tomatoes for toppings; I just add salsa with more fresh tomatoes. Sometimes time is more valuable. The kids will gobble this up with a side of corn. I found that when I stop home to pick up my daughter from the neighbors and take care of the dog there is just enough time to call Pizza Hut. By the time I pick up the other two children, all I have to do is cross the street and go through the pick-up window. It may not be the most healthy option, or the most affordable, but it is the most convenient. Preheat oven to 375 degrees F. In a medium bowl, mix oats, graham cracker crumbs, 1/3 cup of flour, 1/3 cup brown sugar, walnuts, butter, and 1/2 tsp of cinnamon until well blended. Set aside. In a large bowl, mix 1/2 cup of brown sugar, 2 Tbsp flour, and remaining 1/2 tsp of cinnamon. Add sliced apples and toss to coat. Place apples in an 8 inch square baking dish; sprinkle with oat topping. Bake 35-40 minutes until apples are tender. Zucchini is something that seems to grow extremely well in our part of the country. People are always giving me fresh zucchini from their gardens. My CSA produce contains zucchini almost every week so I've tried lots of recipes. Now that the weather is cooling off, I am ready to start turning up the oven for baking. This recipe is from one of the best bakers I've ever met; she often brings warm baked treats into work in the morning. I have yet to be able to bring one of these loaves of bread to work warm, but everyone enjoys them anyway. Mix oil, sugar, vanilla; beat well. Add grated zucchini and pineapple; mix. Test with a toothpick; cool 10 minutes. Kelly and I both wrote menu plans for this week, but I am a bit late in publishing mine. I am already through much of it, and can tell you that it is working out really well. We have enjoyed a nice variety so far this week, and have had some very yummy lunches to take to work. My colleagues are some of this website's biggest fans...when I sit down to my reheated leftovers, I often hear, "That looks awesome! Is that on your website?" Yep! And it sure beats a school lunch or cold cut sandwich! Years ago, I tried my hand at a recipe for traditional stuffed peppers and it was a disaster. Something went wrong with the rice, and the filling turned out to be crunchy. I have always been hesitant to make stuffed peppers since, but this recipe is fantastic. I use the quinoa, as Kelly recommends. You just can't beat this easy meal. My kids gobble it up every time. My motivation for making it this week is that I have a bunch of fresh grated Romano cheese that I want to use. The recipe calls for Parmesan, but this will give it a slightly different twist and use up my ingredients so they don't go to waste. I drive past ALDI's on my way home from work and occasionally make the time to make a quick stop before picking my kids up from school. This week, they have their Oktoberfest foods on sale, so I grabbed some for an easy meal after gymnastics. Time for one of my family's favorite fall meals. I have apples in the fridge, mushrooms are on sale, and I just bought onions last week. Looking forward to this one! The kids and my husband have Taekwondo; I have Open House to attend. This day must have a meal that is quick to prepare (buy!) and quick to eat. Friday - Pasta and Sauce with tossed salad. The last time I made Homemade Spaghetti Sauce, I froze three bags of it. I will take a bag out of the freezer on Thursday and it should be thawed by dinner on Friday. Since the meat is already in it, this meal will be a snap to make. My last menu plan lasted two weeks; then a week of heating up frozen stuff or eating leftovers followed. Now it is time to try again. I think this is a pretty ambitious plan...we'll see what happens. Grocery shopping tomorrow (ON MY OWN!) Going to the store by myself has become one of my treasured opportunities. I love this meal. It is so easy to prepare the night before and just heat up the next morning. I am expecting some fresh hot peppers in my CSA pickup so I will throw them in to help jump start the day. My brother has been nagging me to make the dirt dessert, but I think he'll like this instead. I really don't want to spend time crushing Oreos. Last time I made this I used banana pudding and vanilla pudding (it seems the boxes are the same color; when you are trying to get out of the store before a melt down, mistakes happen). This time, I may try chocolate graham crackers. My older daughter starts CCD this Monday so I am not quite sure how it will all play out for dinner, but this is a winner every time in our house. I really like this affordable dinner. My kids love pasta, and I love getting them to eat spinach. Just hoping my husband packs up the leftovers this time; our dog feasted on them a few weeks ago. We will be eating in our car Wednesday since both girls have dance class. I sampled a tortilla spread with hummus and sliced turkey at Costco this week; it was so good. I plan to hide a bit of hummus under tons of lettuce for the girls. One of my coworkers was making it this week; she was planning to top it with coleslaw. I wished I could go home with her! I may try her toppings, but I know we'll have sweet potato fries, and corn. My husband will have a late work commitment so the kids and I are planning on Pizza, Popcorn and Princess and the Popstar . There was a point in time, not long ago, when I would have said, "Who in the world would make his or her own sauce when there is perfectly good stuff you can buy off the shelf for $2?! Seriously, spaghetti night is supposed to be the quickest and easiest meal of the week!" I am not saying that I will never again buy sauce, but I definitely became a sauce convert about six months ago. My friends who have long made their own sauces are wondering what took me so long. I am, too. This sauce is SO much better than jarred and it honestly doesn't take that much work or time. This batch makes enough for at least three meals; I freeze two portions. I add the meat from the start, so when I use it, I don't even have to brown meat. Taking a bag of sauce out of the freezer the night before spaghetti night actually saves me time. Plus, I love the feeling that I get when making it with my own fresh herbs and that I can control the amount of sugar and salt that goes in. (The amount of sugar in jarred sauce is astounding!) If you have never made sauce yourself, please give this a try one afternoon. You won't regret it! Brown ground meat with onion in a large pot or dutch oven until no longer pink. Add remaining ingredients; bring to a boil. Reduce heat and simmer for at least 1 hour, stirring occasionally. Source: After researching online for a while, I just decided to make my own recipe; I have made this many times now and my family devours it!